Arduinos and electronic controls are an essential component of how we're able to communicate with the car. The following links provide both an introduction to arduinos, and a few challenges/mini-projects that can help you to learn the material. 3D MODELING IS AN ESSENTIAL TOOL FOR DESIGNING THE MECHANICAL PARTS IN THE CAR. COMPUTER AIDED DESIGN (CAD) IS HEAVILY USED BY THE CLUB TO DESIGN EVERY MECHANICAL PART FROM TINY INSERTS TO THE ENTIRE CAR BODY. THE VIDEO SERIES WILL HELP YOU GET STARTED WITH CAD. When you feel ready to try it out, try to make the challenge shapes. Finally, check out the 3D printing tutorial to learn how to make your design a reality! Laser cutting is often preferable to 3d printing for speed and strength reasons for planar designs. 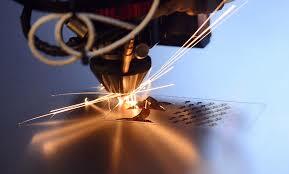 Laser cutting can also save time by eliminating the need to machine some simple parts. learn how to design files suitable for laser cutting in the tutorial. When you've made a design you like, ask us for help using the laser cutter to cut out your design.